The SSML of Padua participates in the Erasmus+ Programme of the Lifelong Learning Programme (LLP), which promotes the strengthening of the European dimension of training, international mobility and cooperation among high school institutes. On March 22nd, 2014, the European Commission awarded the SSML of Padua the Erasmus Charter for Higher Education (ECHE) for the 2014-2020 period, a prerequisite for participation in the Erasmus+ programme. Over the years, the SSML of Padua has enhanced and increased the relationships with foreign bodies, in order to promote mobility of students and of their educational staff for the purpose of study and traineeship. Developments in the field of ERASMUS+ European Project, which confers scholarships yearly, are for the benefit of students and staff. For Italy, this activity is managed and coordinated by the relevant National Agency. Erasmus+ programme permits students to spend a period of study or work placement in a European University or partner body with recognition of the credits (ECTS) and results achieved. Erasmus+ Study consists of a period of study in a foreign university (Higher Education Institutes). Students attend courses similar to the ones in the home university. 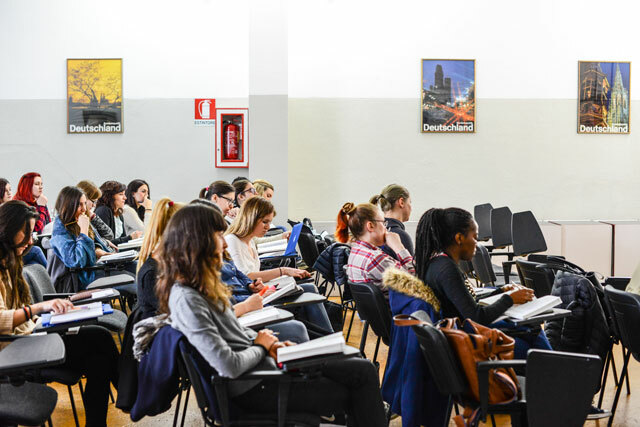 All students enrolled in the 2nd or 3rd year can take part (in- and out-of-course ones, Italian or foreign citizens with permanent residence in Italy, as well as stateless or political refugee students). They must be enrolled in the SSML, have settled all required payments (university taxes, etc.) and have a weighted average of first-year exam marks equal or superior to 23/30. How long does mobility last? The Study mobility period lasts three to twelve months. The period lasts three to twelve months.